There have been eight suspected suicides in the Canadian Forces since the beginning of the year but it's unclear whether they represent a sustained pattern, says the military's surgeon general. Testifying before the all-party House of Commons defence committee on Tuesday, Brig.-Gen. Jean-Robert Bernier noted separately that depression, especially among male Forces members, is double that of the civilian population and represents a "major concern." Roughly 7.8 per cent of the military reported episodes of depression prior to the Afghan war, but the numbers are being updated, he added. Medical professionals draw a direct link between instances of depression and suicide. Much of the public attention in the aftermath of the Afghan war has been focused on post-traumatic stress, which counts depression among its constellation of symptoms. 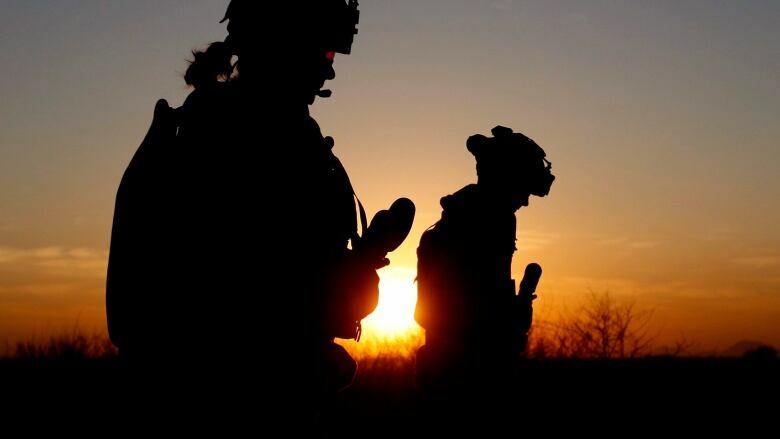 The military often underscores the resources it has poured into PTSD treatment and research and is quick to say its rate of suicide is below the national average. But underlining that is the extraordinarily high overall amount of depression — something the military is struggling to understand in what is inarguably a highly motivated profession. "We haven't been able to pin it down specific exposures in military life," said Bernier. "Although, there are all kinds of increased risk factors for depression because of military service." Bernier noted that the latest suicide statistics for this year are not final because they have yet to be confirmed by a coroner's report. Starting last fall, the military saw a sudden spike in the number of soldiers taking their own lives. But even amid a high-profile crisis, Bernier says the total number of apparent suicides among both regular and reserves in 2013 amounted to 13 cases — a figure that is below the average of previous years. "That is cold comfort," he said in an interview with The Canadian Press following his testimony. "It is lower than our annual average but we still keep an eye on things because of the trending." Officials are at a loss to explain the surge, but Bernier made a point of noting that media coverage of last fall's string of deaths may have contributed to what's known in the medical profession as suicide contagion — or copycat suicides. There has been considerable research in the U.S. into the apparent phenomenon among teenagers, but it remains a hotly debated topic. National Defence came under fire in January for failing to live up to a decade-old promise to have roughly 450 mental heath professionals on staff. Last December — at the height of the suicides — the department only had 380 of the jobs filled, despite an injection of $11.4 million in 2012 and complaints by the military ombudsman. An investigation by The Canadian Press revealed that a bureaucratic and budgetary turf war at the department had stymied the hiring of those psychiatrists and other mental-health professionals. It only came to an end recently, when officials implemented an expedited process through a so-called "tiger team" within the department. Among other things, the team helped lobby the federal treasury board to be more generous in helping relocate new staff to bases in more remote parts of the country. The department has never met its mental health staffing goal since it was first benchmarked in 2002. Even still, Bernier told MPs that the requirement is up for review and the results of two concurrent studies that look at both the military and the general public are forthcoming. The composition and size of the staff will be reassessed in early 2015, he said. "It could turn out that we have too many — or it could turn out that the skill distribution is not right," Bernier told Liberal defence critic Joyce Murray, who put the military's top doctor on the hot seat over a memo written last year that implored the government to approve more uniformed psychologists to treat troops in the field. "We may need other skill sets. We don't know," he said. But Murray pointed that the military's director of mental health made the case that those skills are needed in the field. "I'm confused now about why you're saying it's not needed," she said. Families of fallen Canadian forces reflect on Afghanistan: Was it worth it?